The first reason is exactly why you chose to click on this blog link. When you want to get a message out, sometimes it’s best way to do it in a way that immediately captures the attention—and ire—of an audience. In the finance world, a company has never received as much attention or incited as much rage as Enron did in the scandal of 2001. After serving a term of six years in prison for participating in what is considered the greatest instance of corporate fraud in history, Fastow is in high demand to speak with accountants and finance professionals about ethics. So, now that we’ve got your attention… what could Andrew Fastow possibly have to say about financial ethics? 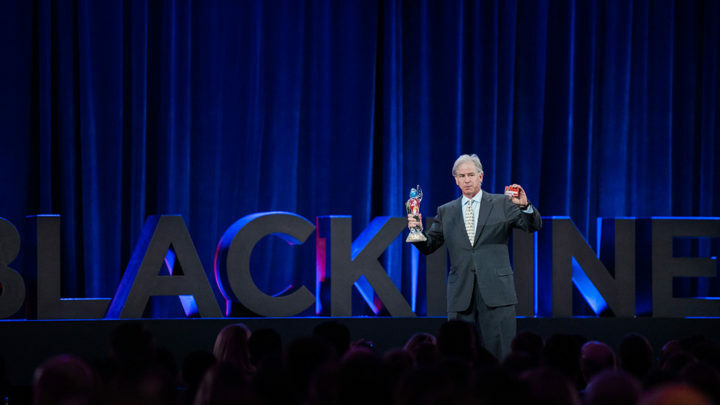 Fastow walks on stage at InTheBlack 2018 and begins his keynote with a sense of humor. He quips that the only reason he’s a coveted speaker for F&A is because he went to prison. “It’s an awful distinction to have and it’s an embarrassing distinction to have,” he says with a more serious tone. The gravity of his misgivings is not lost on him, and he makes a point to immediately repudiate his own behavior as the former CFO of Enron. “If you remember one thing from this talk, I’d like you to remember that I believe what I did was wrong, unethical, and illegal. I take responsibility for my actions. And I think I am probably the person that is most responsible. A skilled orator, Fastow captures the audience with this introduction. We want to know what he has to say—a quick one-eighty shift from our prior misgivings. Fastow goes on to speak of his own one-eighty, from being named CFO of the Year in 2000 by CFO Magazine, to being convicted for fraud in 2001—a remarkably tight turnaround. He held up his taped-back-together CFO Magazine plaque right beside his inmate ID card from prison to illustrate the stark contrast. Fastow explains that Enron’s finance and accounting teams followed all the rules and regulations imposed on them, right up until the scandal broke. No doubt at that moment the audience was thinking as one. Yeah, right. But, it’s true. They did follow the rules. Yet several of Enron’s chief executives were sentenced to significant jail time, and the Wall Street darling declared bankruptcy in December 2001. Why? According to Fastow, it’s because ethical concerns were inconsequential in the game he was playing: the game of Finance. In the meantime, read this CFO Playbook to discover strategies that will help your F&A organization build trust and deliver greater confidence in the business.